Zetland, Sydney, April 10, 2019 – Audi has announced the addition of exclusive Black Edition models to the Audi Q5, SQ5 and SQ7 ranges. Featuring distinctive interior and exterior features, as well as exclusive appointment and equipment, the Black Editions are offered in limited numbers and represent the pinnacle of these already class-leading models. The Black Edition models are marked by distinctive styling changes and significantly increased equipment levels all offered at a considerable saving to customers. 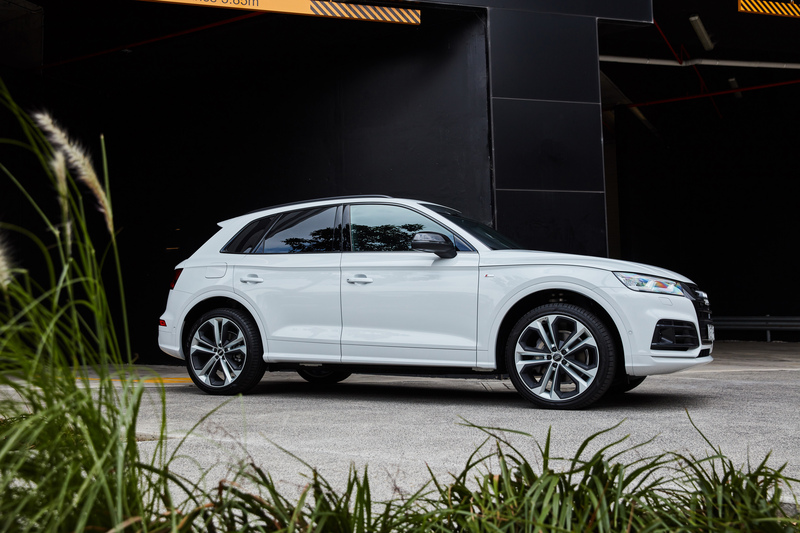 Audi Australia will produce black edition variants for the award-winning Audi Q5 models with the Audi Q5 45 TFSI, Q5 50 TFSI and the Audi SQ5 TFSI all carrying the exclusive Black Edition features. The Audi SQ7 is also be offered as special Black Edition, featuring its own exclusive styling, trim and appointment. As the name suggests, black highlights distinguish these models from their siblings. Subtle trim and design elements signal the exclusive nature of these models, while significantly increased trim and equipment levels inside leave no doubt as to their special pedigree. In addition to the 21-inch alloy wheels – which are offered on the Audi Q5 for the very first time – Black Edition highlights include metallic paint, S line exterior package with illuminated S line front door sill trims, privacy glass and a high-gloss titanium black exterior package, which includes distinctive black mirrors and roof rails. Inside, the Q5 Black Edition receives Audi's interior ambient light package with 30 selectable colours, as well as heated front seats (already standard in the Q5 50 TDI) and a flat-bottom, multi-function steering wheel – a total of more than $12,000 in additional features. The Audi SQ5 Black Edition adds the Bang & Olufsen 3D sound system, Heads Up Display and an extended upholstery package – more than $13,000 worth of additional equipment over the standard Audi SQ5 TFSI. The Audi SQ7 Black Edition likewise offers an additional $17,000 worth of equipment and distinctive styling features. Highlights include metallic paint, carbon-fibre mirror housings and interior inlays, high-gloss titanium black exterior package, 22-inch Audi Sport wheels, panoramic sunroof and seats with diamond pattern contrasting stitching. Each of these distinctive models represent the top of their respective model lines and are now available to order. *Heated front seats are standard on Audi Q5 50 TDI.